All cities have their ghosts, the fading faces and stories of the people who made their home there, whose lives shaped the city. 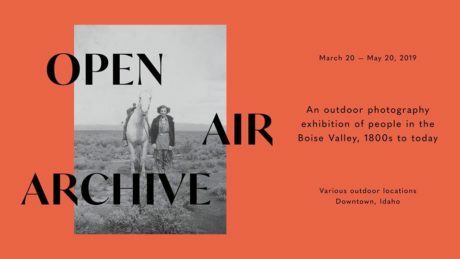 This spring, Boise’s ghosts have become visible in a beautiful and unique way, through photographer Angie Smith’s Open Air Archive, an exhibit that brings historical photos of people and places from Boise’s past to the streets. 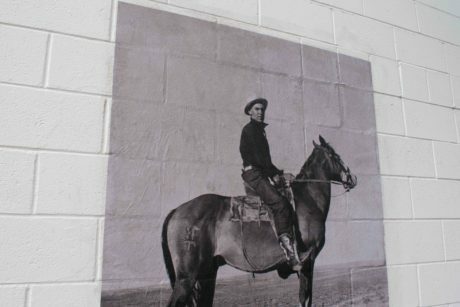 Funded through a grant from Boise Arts and History and Treefort Music Festival, Smith’s installation features archival and historical portraits of Boise’s residents, beginning with the Shoshone and Bannock Native American tribes. 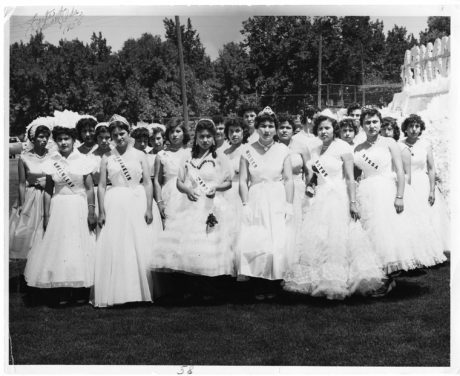 Through a carefully curated selection of historical images, Smith’s archive pays homage to the many migrant groups that settled in the Boise Valley over the last two hundred years. The portraits appear throughout downtown, wheat-pasted onto buildings. The black-and-white photos, laid against the bright brick and stucco of their surroundings, surrounded by the traffic of their busy urban environment, look ephemeral in the way old photos do, yet the people in them gaze out with a compelling clarity and immediacy. They seem to appear out of nowhere, our civic ancestors, silently asking us to take stock of who we were, who we are, and who we are becoming as a city. They serve as a subtle reminder that Boise has experienced many waves of migration throughout its history. Smith, an L.A.-based photographer and archivist, has deep family roots in the Boise Valley. Her inspiration for this project began with that history, and with public art pieces in other parts of the world that are accessible, beautiful pieces with a social/political message. The Modern is proud to support the Open Air Archive. Photos can be seen throughout downtown and the Linen District. Click here to see a list of participating locations. For more information on Angie’s work click here. Posted in ART and tagged downtown boise hotel.